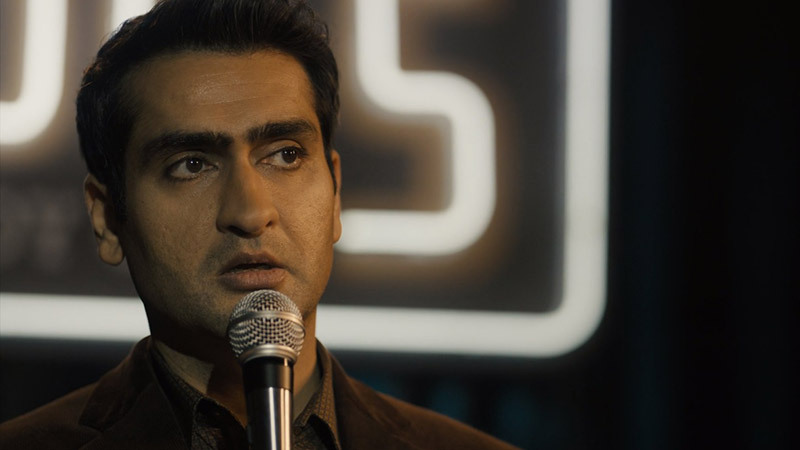 Jordan Peele’s revival of The Twilight Zone for CBS All Access kicked off with Oscar nominee Kumail Nanjiani starring as Samir Wassan in the pilot episode, “The Comedian.” Our Twilight Zone series premiere recap follows Samir as he questions how much he’s willing to lose for success, because this new dimension is certainly willing to take everything. 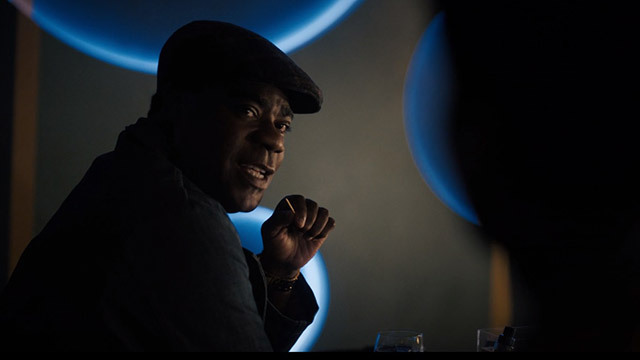 Samir then meets one of his comedy idols, JC Wheeler (Tracy Morgan) who tells him “f*ck politics” and that if Samir wants to be successful he needs to put himself out there. Make the audience care about him, not the points he’s trying to make. He warns Samir that he has to be sure he wants to put himself out there to make that connection with the audience, because once they connect, “it’s theirs.” Samir replies that you choose comedy “because you want it all,” clinking glasses with Wheeler. Samir heads back to the stage, attempting his usual routine and getting nothing back. He moves onto jokes about his dog, which gets the audience roaring with laughter. When Samir arrives home, he tells his girlfriend, Rena (Amara Karan), about his successful night at the club. He then says he wants to walk the dog, named Cat, but Rena says that they don’t have any pets. 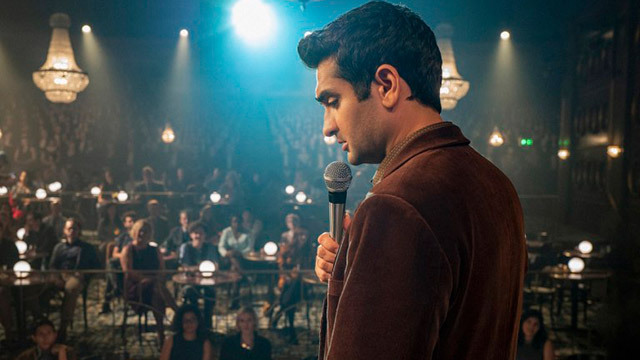 Peele then makes his introduction as the host and narrator, explaining that Samir will have to decide how much he’s willing to give to The Twilight Zone. After putting up some missing dog signs of Cat, complete with generic photos from the internet used as all signs and pictures of the dog have now vanished, Samir and Rena’s nephew, Deven, head into Eddies. After some razzing by Deven and Didi, Samir delivers a set focused on teasing the spunky kid. By the end of his routine, Deven has disappeared and no one remembers him except for Samir. Similar to the dog, all traces of Deven have vanished. Samir rushes home to find Rena having drinks with David (Ryan Robbins), her law mentor. She has no memory of Deven and Samir begins to freak out a little. Samir tries to justify Deven’s disappearance by saying that nothing he did killed him, the kid just ceased to exist. Rena is confused by what Samir is saying, but likes the sound of Samir taking JC Wheeler’s advice and making personal connections with the audience to get laughs. After all, Samir has been at this for five years and while Rena’s been supportive, she needs him to throw himself into this. Samir finds out that because of his recent success, he’ll now be headlining for the club. Samir decides to take aim at Joe Donner, a fellow comedian who killed a mom and her baby while drunk driving. Sure enough, by the end of the set Joe has disappeared, and the bus stop Joe had slammed into is no longer a mangled mess. Samir is delighted knowing that he reversed Joe’s actions, meaning the mom and baby are now alive. But, he might even be just as excited about the new fans following him on social media. Samir heads home and makes a list of people in his life who have wronged him or others. He researches them all, acting as judge, jury, and executioner by repeating their names during his stand-up routines, effectively making them all cease to exist. In the meantime, things between Samir and Rena are going better than ever. One night Samir tells Rena that he feels like the more he opens up during his comedy routines, the more he can make a real difference and change the world. Samir and Rena agree they like the new him. A nice conversation quickly derails as they get into an argument about Rena’s law school mentor, David, and Samir’s jealousy seeps through. The fight leads to Samir calling out David’s name during his newest routine and deleting him from existence. Besides getting rid of David, though, Samir also alters Rena’s career as a lawyer, who is now working as a waitress as David was the one who helped her become a lawyer. Without that money, they never went to Paris, never fixed their relationship, and Rena breaks up with Samir. Samir goes home to what is now a bachelor’s pad and his life is starting to fall apart. During his next stand-up gig, Samir gets heckled by the crowd. He asks two guys in particular what their names are. Gabe and Will are two rich hedge fund investors who quickly disappear as Samir turns his comedy on them. Later, Didi confronts Samir about how he is suddenly more successful than her and taking away opportunities. Samir says that he doesn’t even want to go on stage, but Didi says he can’t quit because he’s been killing it with his comedy. Once Didi and the club owner leaves the green room, JC Wheeler appears once again. Samir demands to know what Wheeler did to him. The mysterious comedian tells Samir that he simply told him how to get what he wanted. Wheeler says he warned them, and what Samir is doing is not killing people, since “it’s not murder if there are no crying moms.” He tells Samir to “weaponize that sh*t” and to bring down the house with this new power. After Didi performs her set, Samir makes his way on stage. He then tells the applauding audience to keep it going for Didi Scott, who, like all of the others, ceases to exist. Samir then goes on an outrageous rant, dropping names left and right in a mass disappearing act. Rena suddenly appears in the crowd, brandishing Samir’s journal full of names of the people he has been using in his act. She accuses him of doing this just to feel superior to them and challenges him to use her for his fuel. Samir hesitates, eyeing the crowd, before deciding to talk about himself. He talks about being a comedian to make people laugh. He calls himself a garbage can who needs lots of validation. He wants people to think he’s somebody and to ask him for selfies. “I am a bully. People are just material to me. I throw them away,” Samir adds. He finishes his final set by calling out his own name, joining the group of other people Samir has made disappear. With Samir being gone, everyone he’s made disappear apparently returns. Rena and Deven make a stop at Eddies to watch Didi’s stand-up, telling her she was hilarious. After leaving, Didi takes a seat at the bar, right next to JC Wheeler “in the fleshy flesh.” Just like Samir, Didi asks if the legendary comedian has any notes. Wheeler just smiles at her. Peele ends the episode with this message: “Sometimes getting everything you want means losing everything you love.” On the verge of becoming somebody, Samir chose once again to become a nobody, forever now only existing on the wall art of the comedy club, decorated with the faces of forgotten, nameless people. What did you think of the series premiere of The Twilight Zone? Let us know in the comment section below!